Gold Plated Copper Based Material. 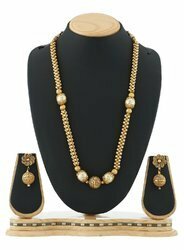 Having a pre-defined quality management system, we are betrothed in presenting a vast consignment of Traditional Tushi Necklace Set. 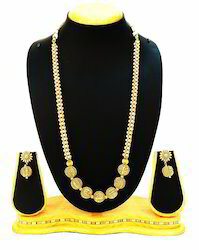 Traditional Thushi Necklace Set for Maharashtrian Wearing like Navwari Sari. 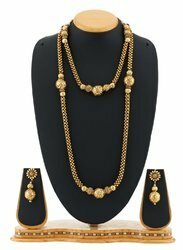 Gorgeous Thushi Mala With Beautiful Earrings for Indian Traditional Women.